Dr. Jeff Redlin has been a friend of the Rejoice in the Lord ministry for decades. He graduated from Pensacola Christian College in 1987, then served as Campus Church’s youth pastor for 15 years. God then moved him to Colorado, where he pastored for 15 years. Throughout 2018, Pastor Redlin had been praying for “God to use him to his greatest potential to influence others for Christ” assuming God would open new opportunities in his current ministry. Meanwhile, at Campus Church, God had laid it on hearts that Pastor Redlin was the right person to serve as pastor. After much prayer and a vote from Campus Church members, the pulpit committee extended an invitation for the pastorate. 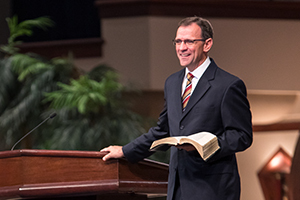 Pastor Redlin follows a line of sound biblical preachers with whom the Lord has blessed Campus Church and Rejoice in the Lord. We thank God for His faithfulness in supplying the pastor that we need at this time. Rejoice in the Lord is His work. From its first telecast on one local TV station in March 1982, to stations all across America and around the world by satellite and Internet today, we praise God for His blessings on this ministry. We are thankful for viewers like you who pray for us and support us so the gospel can be preached and Christians can be encouraged in their daily walk with the Lord. We rejoice in God’s provision and purpose to follow His leading each step of the way. How beautiful are the feet of them that preach the gospel of peace and bring glad tidings of good things. 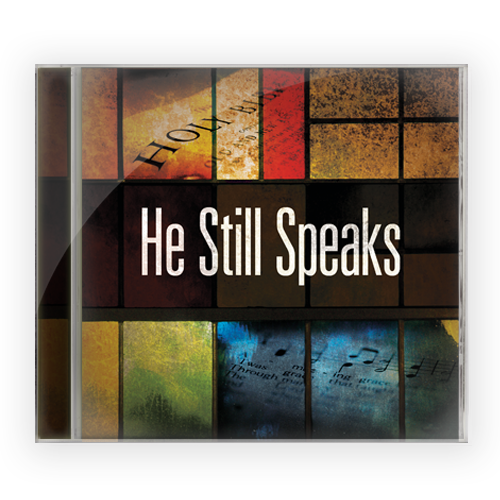 He Still Speaks includes 12 uplifting gospel songs that will encourage you as you listen. Your gift of $50 or more to Rejoice in the Lord will help sustain this ministry in your area. Complete and return the enclosed reply card, call 1-800-223-9727, or visit RejoiceTV.org to request the He Still Speaks CD .